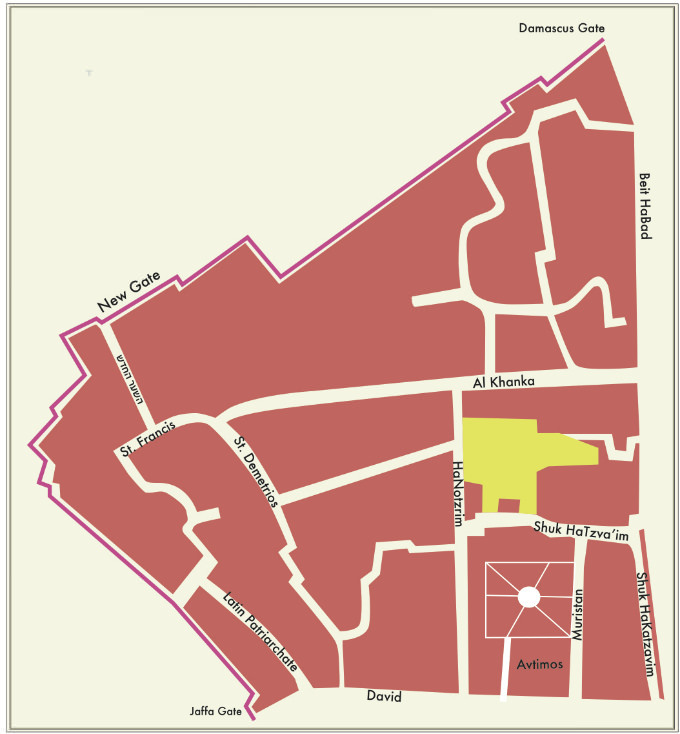 The Christian Quarter sits in the northwest corner of the Old City and can be accessed through the Damascus Gate, New Gate, and Jaffa Gate. The Church of the Holy Sepulchre, one of Christianity's holiest sites, is at the heart of the Christian Quarter. The Church of the Holy Sepulchre is said to be the site of Jesus's crucifixion, burial, and resurrection. The Christian Quarter is home to many churches and monasteries, a few residences, and several souvenir shops, restaurants, coffee shops, and hotels to serve the many tourists and pilgrims that pass through the quarter. Most services are concentrated on David Street and along the Christian Road. Over the centuries, competition has increased for land, power and influence in the Christian Quarter between the various factions of Christianity. The Church of the Holy Sepulchre, for example, is held under custody of the Greek Orthodox, Eastern Orthodox, Oriental Orthodox, Roman Catholic, and other sectarian authorities, under a centuries-old arrangement. This has lead to competing claims on limited time and space in the Church, and has even been the cause of violent outbreaks over the years.